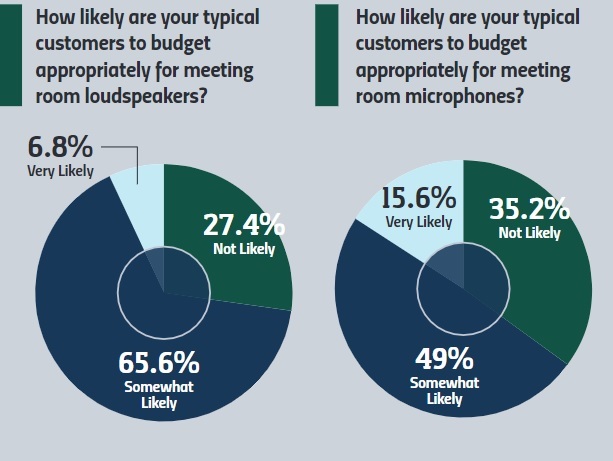 We find that few customers budget properly for meeting room audio, at least according to our integrator survey respondents. After conducting in-depth research into one of the most important corporate categories, we find that few of those customers budget properly for meeting room audio, at least according to our integrator survey respondents. Take loudspeakers, for example. 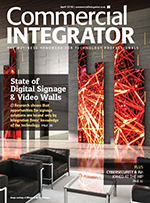 Nearly a third of responding integrators and consultants say typical clients don’t budget accordingly for speakers. Then another 66 percent are only “somewhat likely” to dedicate enough budget for meeting room speakers. 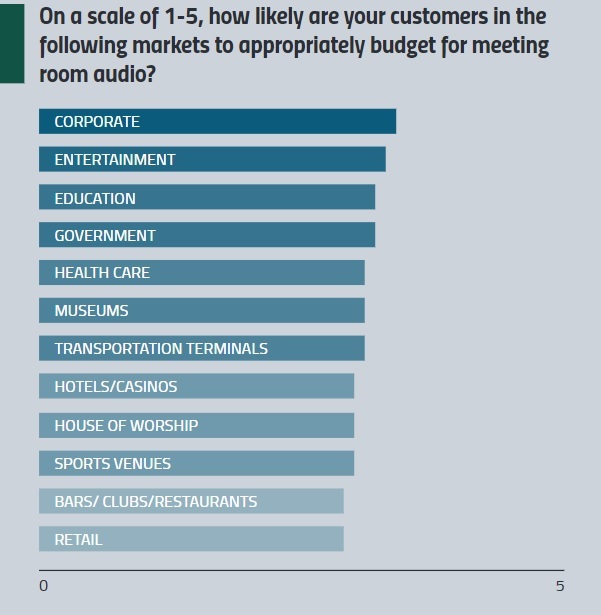 The trend is consistent across all vertical markets with little variation between how surveyed integrators and consultants see their customers budgeting for (read: not budgeting for) meeting room audio. The education markets show a slight tilt toward prioritizing audio. The same goes for the size of a customer. 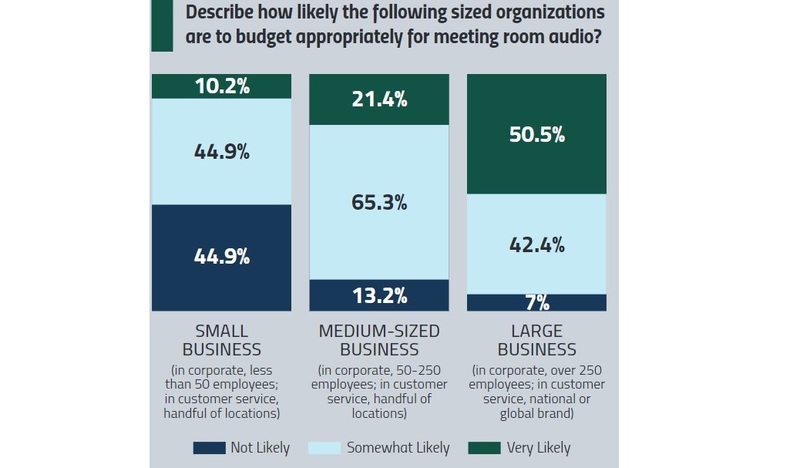 Whether small, mid-sized or large, surveyed integrators and consultants see no group prioritizing meeting room audio significantly more than the others. The meeting room audio business for integrators is certain to change. Certainly, it will take some time for some companies to adopt this forward-thinking approach to doing business. But the time has passed where it was appropriate to question whether Alexa and Watson have a place in meeting rooms — they’re already in.